In case you would like to receive news messages immediately on release via email, you should subscribe here. 2006/05/19: FreeGIS CD: Mission accomplished! 2005/01/26: Free GIS data converter edbsilon has been published. 2005/01/20: KDE innovates in Osnabrück -- again! 2004/09/06: Intevation assigned to develop GREAT-ER II extension. 2001/11/15: Intevation presents potentials of the FreeGIS project at GIS conference in February 2002. From 23. to 26. May 2012 the 18th LinuxTag will take place in Berlin. Intevation is present as exhibitor on Europe's leading exhibition on GNU/Linux and Free Software. We whould be glad to give you information about our services at our booth (hall 7.2a, booth 153). We present our services around Free Software GIS, the Groupware solution Kolab as well as the products of our subsidiary Greenbone Networks, specialised on vulnerability assessment. Intevation GmbH publishes the free Frida streetmap data of the town of Osnabrück under the new Open Database License (ODbL). The OpenStreetMap initiative plans to switch to the Open Database License (ODbL) that was specifically designed to circumvent the licensing issues with the current Creative Commons license (CC-BY-SA-2.0) when using OpenStreetMap data. Intevation GmbH is committed to the new license in order to simplify the usage of the Frida data, so they are additionally licensed under this ODbL license. OpenStreetMap (OSM) is a free worldwide map created by users from all over the world. The created map can be used by everyone for every purpose under the terms of the CC-BY-SA-2.0 (and later ODbL) license. In 2003 free streetmap data of Osnabrück ere created during the corporate project "Frida" between Intevation GmbH and the City of Osnabrück. The data were given to the OpenStreetMap initiative in 2007. The Frida data are still available on the project website, now licensed under GPLv3, CC-BY-SA-2.0 or ODbL license and can still be used as map of Osnabrück in OSM. The largest german speaking conference about Free and Open Source GIS Software and geodata, FOSSGIS 2012, takes place in Dessau from 20.-22.03.2012. Intevation supports the FOSSGIS actively since many year with continuing and ongoing engagement in sponsoring, giving workshops about different topics like PostGIS, UMN MapServer, deegree and OpenLayers. Within FOSSGIS 2012 Intevations geospatial staff provides talks and workshops and practical information and background for different topics, products etc. The workshops, whos revenues are exclusively used to cover the expenses of the conference, provide practical information from professionals. Use this chance to take a lesson from our highly skilled experts! We would enjoy to meeting you at the booth of Intevation Geospatial for interesting talks. More information can be found at http://www.fossgis.de/konferenz/2012 and http://www.intevation.de/geospatial. Kontact Touch is an email and groupware client for touch screen devices, like smartphones, netbooks or tablets. Kontact Touch is the mobile solution of KDE Kontact Desktop (a Kolab Groupware Client for GNU/Linux, Windows and MacOS X ) and provides end-to-end email security with GnuPG for mobile devices. Please contact us if you would like to know more about Kontact Touch! As developer of the Kolab groupware solution we provide professional support for Kontact - together with our partners KDAB, g10Code and KolabSystems. MXD2map is a Free Software converter for the generation of UMN MapServer-compatible Map files from ESRI ArcGIS MXD data. It offers the possibility of creating maps as usual in the ArcGIS Desktop GIS and then serve them over the internet. The necessary configuration file for UMN MapServer can be generated at the touch of a button. UMN MapServer provides the MXD project as an OGC-compliant WMS or WFS service. This offers a simple yet cost-effective way to publish existing spatial data including design requirements as WMS / WFS service. "This tool helps us tremendously with the creation of OGC-compliant WMS services based on UMN MapServer. The regular work on the desktop with ArcGIS remains unaffected and the benefits of the fast UMN MapServer can be used easily for intranet/internet representations. ", explains Jörg Gerdes, Head of IT of the German Federal Maritime and Hydrographic Agency (BSH) in Hamburg, Germany. The BSH had contracted Intevation for the initial development of MXD2map. The BSH is an agency within the German Federal Ministry for Transport, Building and Urban Affairs with offices in Hamburg and Rostock. It is an important maritime service provider of the federal government and provides the maritime geodata center for digital and analog (sea) map products. Intevation is an independent IT service provider and consultancy. The company has experience with developing and maintaining cost-effective IT solutions. All solutions done by Intevation are Free Software (also called "Open Source"). The results, including source codes and all the necessary knowledge is transfered fully to the customer. MXD2map is Free Software. It was released under the GNU Lesser General Public License (GNU LGPL) version 3. A Windows installer and the source code are available on the website for download. From 11. to 14. May 2011 the 17th LinuxTag will take place in Berlin. Intevation is present as exhibitor on Europe's leading exhibition on GNU/Linux and Free Software. We whould be glad to give you information about our services at our booth (hall 7.2a, booth 135). We present our services around Free Software GIS, the Groupware solution Kolab as well as the products of our subsidiary Greenbone Networks, specialised on vulnerability assessment. The largest german speaking conference about Free and Open Source GIS Software and geodata, FOSSGIS 2011, takes place in Heidelberg from 04.-07.04.2011. Within FOSSGIS 2011 Intevations geospatial staff provides talks and workshops and practical information and background for different topics, products etc. The workshops, whos revenues are exclusively used to cover the expenses of the conference, provide practical information from professionals. Use this chance to take a lesson from our highly skilled experts! More information can be found at http://www.fossgis.de/konferenz/2011 and http://www.intevation.de/geospatial. Intevation GmbH offers its Training courses for the year 2011. This year the following popular topics are available. PostgreSQL/PostGIS, UMN MapServer, OpenLayers. Find more Information at http://www.intevation.de/geospatial or write an email to info@intevation.de. From 09. to 12. June 2010 the 16th LinuxTag will take place in Berlin. Intevation is present as exhibitor on Europe's leading exhibition on GNU/Linux and Free Software. We whould be glad to give you information about our services at our booth (hall 7.2b, booth 214). We present our services around Free Software GIS, the Groupware solution Kolab as well as the products of our subsidiary Greenbone Networks, specialised on vulnerability assessment. Stephan Holl (Project Manager GIS) will contribute to the conference withe a presentation to "UMN MapServer - Effectiv and smart presentation of geodatas in the internet", Friday, 11.6.2010, 13:15 in the Univention Linux Hotel. At the Intevation booth we will furthermore present the result of the Gpg4win initiative (in what Intevation was mainly involved): The Gpg4win Compendium was printed as book and will arrive hot off the presses at the LinuxTag. We will dispence some books with the title "Sichere E-Mail" (Secure E-Mail) for free, that are deserving of thanks disposed by the publisher bomots. Feel free to come to our booth, you will have the chance to get in conversation with some of the Gpg4win developers. Please contact us to schedule an appointment with one of our experts at the LinuxTag 2010. The largest german speaking conference about Free and Open Source GIS Software and geodata, FOSSGIS 2010, takes place in Intevations headquarter city Osnabrück from 02.-05.03.2010. 10 years ago two executive directors of Intevation GmbH, Dr. Jan-Oliver Wagner and Bernhard Reiter, were founding members of the GAV e.V. at that time. Meanwhile the association has changed name to FOSSGIS e.V. and acts as a national chapter of the international Open Source Geospatial Foundation (OSGeo). A keynote at thursday wraps up "10 years of FOSSGIS" - a review. This keynote introduces the topic from the beginning till now and bridges over to the first german speaking OpenStreetMap-conference. Within the FOSSGIS 2010 Intevations geospatial staff provides talks and workshops and practical information and background for different topics, products etc. The workshops, whos revenues are exclusively used to cover the expenses of the conference, provide practical information from professionals. Use this chance to take a lesson from our highly skilled experts! More information can be found at http://www.fossgis.de/konferenz and http://www.intevation.de/geospatial. Founded on October 1st, 1999 and solely with Free Software, Intevation GmbH has grown from a three man business to a successful company, which now has more than 20 employees. An upward trend, in spite of economic crisis. As shortly reported by the regional daily newspaper "Neue Osnabrücker Zeitung" (NOZ) (published: 2009-01-11, author: Arne Köhler), the strength of Intevation GmbH is its effective and solid software-solutions, which convince and satisfy its customers. In the 10th year of sucessful business, the geospatial department of Intevation GmbH will be represented at InterGEO 2009 in Karlsruhe. At the booth at the Open Source Park (Hall 1, Booth 1.417) services for geospatial solutions based entirelly on Free Software will be shown: From consultancy to projectmanagement up to the developement of new software solutions. WebGIS-Applications - What's Coming Next After OpenLayers? As innovation, we will introduce the GISpatcher Appliance, a reliable GIS platform for your applications: Easily set up in your network and switched on, your SDI services can be secured directly. At the booth 1.417 in hall 1, our team will provide you with further details und shows up further application possibilities of the GISpatcher Appliance. Looking forward to meeting you in Karlsruhe. Today, Gpg4win 2.0.0 was announced on www.gpg4win.org. It is a crypto software for Windows that can be downloaded without fees. Version 2.0.0 follows version 1.1.4 as a stable product line and includes the progress of the last two years of development. GpgOL - a plugin for MS Outlook - can handle MIME emails now, making signing and encrypting attachments much easier compared to the last version. Support for S/MIME has also been added for the first time. GpgOL has been completely rewritten for this functionality. Now Gpg4win supports both standard crypto formats for Email: OpenPGP and S/MIME, both with modern 2048 bit RSA smart cards. S/MIME uses a hierarchical concept of trust, meaning users have to acquire an x509 certificate signed by a trustworthy authority in a public key infrastructure (PKI). Many medium and large organisations already use a PKI making Gpg4win2 interesting for them for end-to-end email security. Of course Gpg4win2 also aims to be an easy-to-use application for private users, who wish to encrypt or sign their email or files under Windows with S/MIME or OpenPGP. Besides GpgOL (for Outlook 2003 and 2007) the Gpg4win package contains the standalone email application Claws Mail, GpgEX, GnuPG, 175-page documentation and a choice of two certificate managers. Gpg4win2 works together with "Kontact for Windows", a Free Software groupware and email application and supports Windows 2000, XP, 2003 and Vista. In addition to English, all dialogs are available in German. The reworked and updated documentation called Gpg4win Compendium is available in German only. An English version is planned for the end of the year. Gpg4win stands for "GNU Privacy Guard for Windows" and is a collection of existing Free Software (Open Source) components and is licensed under the GNU GPL. Version 2.0.0 can be downloaded with accompanying source code from http://www.gpg4win.org . Using the software for any purpose, analysing, modifying and redistributing it is explicitly allowed and encouraged. Redistributors are required to provide the source code - the usual rule with the GNU GPL. The central crypto-component of Gpg4win2 is GnuPG2. Both certificate managers (GPA and Kleopatra) support OpenPGP and S/MIME. In the medium term, these cross-platform components are intended to improve the usability of crypto solutions because they offer certificate selection services to all applications. GpgEX adds crypto-operations on files to the context menu of the (32bit) Microsoft Explorer. Observers had hoped for an earlier release of Gpg4win 2.0.0 because several beta versions had been released throughout the last 12 months. The developers had to overcome difficulties with the new concept of the combined certificate manager Kleopatra and with the windows platform. The proprietary software Outlook also posed a problem for GpgOL development because the built-in MIME functions do not always work as expected. New users can check out the compendium or go to the public mailing lists or web forums for technical questions or to give feedback to the Gpg4win community. Makers of Gpg4win2 are the Germany based Free Software companies Intevation GmbH (Pproject coordination), g10 Code GmbH (Crypto, GpgOL, GpgEX, GPA) and KDAB (Kleopatra). They offer professional support, consulting and individual solution development for email security with Gpg4win. From 24. to 27. June 2009 the 15th LinuxTag will take place in Berlin. Intevation is present as exhibitor on Europe's leading exhibition on GNU/Linux and Free Software. We whould be glad to give you information about our services at the booth of the Linux Verband (hall 7.2a, booth 112). We present our services around Free Software GIS, the Groupware solution Kolab as well as the products of our subsidiary Greenbone Networks, specialised on vulnerability assessment. Please contact us to schedule an appointment with one of our experts at the LinuxTag 2008. Also the second half of 2009 Intevations training calendar banks on established products like PostgreSQL/PostGIS, UMN MapServer as well as OpenLayers we offer training cources for OpenStreetMap and deegree! . The cource PostgreSQL-Administration organized in conjunction with our partner Cybertec will also be available within this calendar as well. Further information about the schedule can be found on http://www.intevation.de/geospatial or by sending a message to info@intevation.de. From Tuesday, 17. fill thursday, 19. March 2009 the FOSSGIS 2009 takes place at Leibniz-University of Hanover. The FOSSGIS fair is the leading german-speaking conference for Free and OpenSource GIS-Software. Intevation GmbH sponsers the conference again and presents its 9 years of experience in Geoportals, Geodatabases and securing SDIs. Our employees also do training cources and workshops, where practical information and knowledge-background of different Free and Open Source GIS projects will be presented. The fees for workshops are completely used to the cover the expenses of the conference. Do not hesitate to takeing place in one of the workshops where experienced trainers share their knowledge. Talk "Mitwirken in Freien GIS Softwareprojekten – ein anwenderzentrierter Blick hinter die Kulissen,"
We would enjoy to meet you at the booth of Intevation. Also 2009 Intevation GmbH expands its training program. In addition to our most popular topics such as PostgreSQL/PostGIS, UMN MapServer as well as OpenLayers we offer training cources for OpenStreetMap and deegree! as well. As an innovation this year Intevation partners with Cypertec, a professional PostgreSQL consultant company, and offers PostgreSQL-related administrative training cources. Hans-Jürgen Schönig, CEO of Cybertec: "We a happy to combine our strong knowlege of PostgreSQL with Intvations expertise of PostGIS. This results in the maximum of learning-success for our customers". In only 3 days you will learn how to admininstrate your PostgreSQL-database server and adopt it to your needs. You will be trained by the skilled PostgreSQL-professionals of Cypertec GmbH. Further information as well as the schedule can be found on http://www.intevation.de/geospatial or by sending a message to info@intevation.de. Software developers of the KDE PIM team have made their 7th meeting in Osnabrück last weekend (January 9th to 11th 2009). Intevation GmbH acted as host of the international meeting. Akonadi (a new PIM framework for KDE 4): evaluating the migration in KDE 4.2 and porting strategies for 4.3 and 4.4. Intevation, member of the Kolab Konsortium, has coordinate a lot of Free Software projects, which are integrated in KDE; e.g. the groupware client KDE Kontact. Reports and photos of the meeting. Please contact us to schedule an appointment with one of our experts. Phone numbers and email adresses stay the same. Due to our relocation our internet services will temporarily be unavailable. We like to welcome you in our new Office, the whole team is looking forward to work on new projects and challenges with you. We will release a newsletter in irregular periods with specific topics. Every release deals with interesting topics from Intevations main focus and will serve you with current information about projects and products. Please find more information at http://www.intevation.de/ or write to info@intevation.de. Intevation GmbH has realised an extension to Kolab in cooperation with the Kolab Konsortium, Univention GmbH and Pardus, which allows users to connect mobile devices directly to the groupware server. Now it is possible to synchronize appointment times and contact information being away on business. This was done by integrating the SyncML protocol into the Horde part of Kolab server. SyncML is a platform independant standard designed for the exchange of data between servers, clients and mobile devices. The Horde interface is going to be integrated into Kolab Server/OpenPKG 2.2.0 as a beta version. Version 2.2.1 is then expected to integrate the SyncML extensions for tasks and contacts. In Univention's UGS the SyncML extensions are available as release candidates for testing purposes. You can find more information in Univention's press release (German only). Intevation GmbH presents its training program for the second half of 2008. In addition to our most popular topics such as PostgreSQL/PostGIS, UMN MapServer as well as OpenLayers the training will be extended by two additional topics: OpenStreetMap and deegree!. OpenStreetMap (OSM) aims at creating a world map within a Wikipedia-like community project. Therefore OSM collects geographical data as well as points of interest all over the world and develops Free Software (Open-Source-Software) which helps acquire, save and process the data. You can learn in only one day how OpenStreetMap data and/or OSM software may be used in your own projects. You also gain insight into the data sources in order to be able to decide whether they are useable for your projects. deegree is one of the leading frameworks aiming at building geographical data infrastructures with Free Software. In this workshop you learn how to set up your own infrastructure as well as how to use other data services. Different standards of the Open Geospatial Consortiums (OGC) play a major role in this context. From 28. to 31. Mai 2008 the 14th LinuxTag will take place in Berlin. Intevation is present as exhibitor on Europe's leading exhibition on GNU/Linux and Free Software. We whould be glad to give you information about our services at the booth of the Linux Verband (hall 7.2a, booth 212) and we present our services around Free Software GIS and the Groupware solution Kolab. Stefan Stiene recieved the "Intevation-Award for achievement in Free Software 2007/2008" at the University of Osnabrück/Germany on February, 15th 2008. Mr. Stiene developed a Free Software, which afford to develop and test robot control software in conjunction with the Free simulation framework "USARSim" and the software development tool "Player". USARSim and Player are both Free Software, which are used (independently) about the world in the robot research. The solution of Mr. Stiene is a contribution to connect both worlds and to strengthen the position of Free Software in the robot research. Stefan Stiene has finished his master study "physics with computer science" at the University of Osnabrück in January 2006. Now he works on the topic "knowledge-based systems" as scientific assistant in the faculty computer science. The Intevation-Award for Free Software is one of 25 awards given out each year at the University of Osnabrück for excellent student work. The monetary part of the award is 750 Euro. Software developers of the KDE PIM team have made their 6th meeting in Osnabrück last weekend (February 1st to 3rd 2008). Intevation GmbH acted as host of the international meeting. Intevation has been quite successful in 2007. We have welcomed tree new employees and we will need more in 2008. Currently we are looking for a C programmer (m/f) and employees for our Geospatial team. Vector data of the City of Osnabrück, Germany has been contributed to OpenStreetMap (OSM). The data was created 2003 during the Frida project led by Intevation GmbH and in cooperation with lat/lon GmbH and the City itself. Result of the project was a digital streetmap of an European city, which is free to use, improve and copy for non-commercial and commercial purposes. "The project has been a great success", says Jan-Oliver Wagner, Managing Director of Intevation. The data is used in powerful Free Software Geographical Information Systems (GIS) like Thuban, GRASS and other applications. It proofed especially useful for improving the software and teaching GIS. To contribute the data to OSM, Intevation has converted the dataset and re-published it under the Creative Commons ShareAlike 2.0 license. OpenStreetMap allows users to create and maintain data all by themselves. It provides for geodata, what a wiki software provides for text. With a simple GPS-device anybody can record waypoints, and then use a computer to add attribute information. Up to do day, more than 9 billion waypoints have been uploaded by OSM users this way. We invite you to visit us at Europe's leading event for Linux and Free Software, to inform yourself about current trends and Intevation. This year Intevation presents at the booth of the Linux Verband (Hall 12, booth 56) its services around Free Software GIS and the Groupware solution Kolab. Please contact us to schedule an appointment with one of our experts at the LinuxTag 2007. The University of Osnabrück (Department of Production Planning and Computer Science in Economics) cooperating with RECO, has started a research project in November 2006. Its about Free Software concepts and methods in the area of ERP systems. Intevation GmbH is one of the partners and contributing Free Software expertise. Managing director Bernhard Reiter gave a talk about "Free Software (Open Source) in companies" at the public kickoff. "Open Source for SMEs - ExChange-Alternatives"
The panel discussion is part of the Business Club CeBIT SME program. Following the discussion (15:15 - 16:30) there are opportunities for personal dialogs. This time in Berlin, the Intevation GmbH again presents its services at the LinuxTag. In addition to the trade fair, Intevation staffs have submitted various proposals for the conference program. More detailed information regarding the LinxTag will follow. We would enjoy to meet you at one of the events. Application Development Intevation offers comprehensive services for design and implementation of GIS applications. Together with DM-Solutions Group (the developers of MapServer) we offer professional support for development and operation of MapServer applications. Together with Refractions Research Inc. (the developers of PostGIS) we offer professional support for the Free Software spatial database system PostGIS (PostgreSQL). Training Intevation offers MapServer and PostgreSQL courses. Please contact us to schedule an appointment with one of our experts at the InterGEO 2006. "To offer and promote Free Software alternatives for proprietary Geographic Information Systems (GIS) and geographic data." that was the mission statement of the FreeGIS CD in 1999, when starting out. Between then and 2003 twelve editions of the FreeGIS CD got published, containing ready made packages for popular GNU/Linux distributions like RedHat, Debian, SuSE and Mandrake. Since around 2004 most of the Free GIS Software projects offer binary installers for various platforms right on their homepages. The distributions also have integrated some GIS packages and the Internet got faster with more people having direct access. Not to forget the increasing number of some famous GIS Live-CDs. "Now its time to officially close this sub project of FreeGIS.org. It has accomplished its goal!" says Jan-Oliver Wagner, co-founder of the FreeGIS project. A couple of thousand copies of the CDs have been distributed in the early days of Free GIS Software, the number of subsequent copies is probably even higher. The FreeGIS CD team thanks all the direct and indirect supporters. However, a version 2.0 might still happen eventually. It likely will be a Live-CD with a new mission addressing today's and tomorrow's needs for promoting Free GIS Software. "We already have some ideas and volunteering team, but there is no hurry", Jan-Oliver Wagner explains. The FreeGIS Web Portal and the FreeGIS Mailing List continue to be popular, even drawing more attention. The FreeGIS team has created a comprehensive entry point into using Free Software in processing geographic information and it is likely to stay this way. The "Intevation Award for Achievement in Free Software" at the University of Osnabrück has been awarded to Carsten Niehaus for developing the KDE application Kalzium. Kalzium is an application displaying information about the periodic system of the elements. These well organised information go beyond what most have still in mind from their school days. Hence Kalzium is nowadays part of KDE-Edu and numerous projects to promote Free Software in schools - but Kalzium also has its users in science: As feedbacks show it is installed as reference in various laboratories. "Alongside the large applications these specialised components - like Kalzium - are building the social benefit of free software", says managing director Frank Koormann. The Intevation-Award for Free Software is one of 25 awards [2, in German] given out each year at the University of Osnabrück for excellent student work. The monetary part of the award is 750 Euro. The price was given out for the fifth time in its history. DM Solutions Group Inc., a leader in the open source Web mapping community, and Intevation, a Germany based leading Free Software consulting company, today announced a joint plan to deliver professional MapServer support in Europe. Through a partnership agreement, any government and enterprise customer of Intevation will have the ability to automatically access DM Solutions Group for third-level support for MapServer and related software. Intevation will work directly with its customers to deliver security updates and general MapServer support, while DM Solutions Group will deliver upgrades and new releases of the technology. "The goal of our alliance with Intevation is to provide European MapServer customers with the too ls and support they need to maximize the full potential of their MapServer applications," said David McIlhagga, DM Solutions Group president. "We are excited about working with Intevation and extending our MapServer support services to the European market." MapServer applications have been produced with large datasets and tough requirements for stability and availability. Prompt support, security maintenance and sustainable ongoing development are the key factors for customer success. The MapServer support from DM Solutions Group and Intevation combines the advantages of a Free Software product and enterprise-level services. "We chose to work with DM Solutions Group because of its clear leadership in MapServer development," said Dr. Jan-Oliver Wagner, managing director of Intevation. "Our customers will benefit from having readily available access to MapServer support and updates." About DM Solutions Group Inc.
DM Solutions Group Inc. is a leader in the open source Web mapping community and the primary corporate developer and maintainer of MapServer - the most widely used Web mapping rendering engine in the world. Building on its open source success, DM Solutions Group focuses on custom solution delivery, professional services, hosted online mapping services, and value-added products for a broad range of vertical markets. Founded in 1998, DM Solutions Group is headquartered in Ottawa, Ontario, Canada, with a second of fice Chicoutimi, Quebec, Canada. For more information visit www.dmsolutions.ca. Intevation GmbH specialized in Free Software ("open source") and offers IT services for strategic consulting, project management & implementation, and geographic information systems (GIS). All activities are based on Free Software, active communication management, modern development techniques and usability design. The GIS business unit delivers customer solutions based on Free Software since Intevation was founded in 1999. The company has experience ranging from web mapping, customized applications, spatial databases up to geospatial infrastructures (GDI) and location based services (LBS). Intevation founded and maintains www.FreeGIS.org for evaluating and cataloguing Free Software GIS products. Intensive read operations for geo-data are possible since a while with the "PostGIS" extension for PostgreSQL. For realtime and various web-applications, enterprise-level performance of write operations has become a much wanted feature. The GiST (indexing of complex, e.g. spatial, data) has been improved with PostgreSQL 8.1 to allow much faster writing. Intevation joined Refractions Research Inc, the main developers of PostGIS, and the companies Cadcorp, WebBased, GlobeXplorer and Mobile Meridian, to finance this PostgreSQL improvement. "Such a joined funding is always desireable," says Frank Koormann, responsible for database systems and PostGIS at Intevation. "Contributing to coordinated improvements is a service that Intevation offers to its customers as part of maintenance and support contracts. This continous development is independent of project objectives and ensures the longevity of products. It prevents that new features are build on top of an unsteady ground." Kolab has been given the Linux New Media Award 2005 in the category 'Best Groupware Server'. The jury chose Kolab on top of contenders like Openexchange, OpenGroupware, GroupWise, eGroupWare, Scalix and Lotus Notes. This was revealed during a ceremony Tuesday evening at the LinuxWorld Expo 2005 in Frankfurt, Germany. Within three years of its existence, Kolab has grown to be a respected groupware that was also mentioned positively in both editions of Migration Guidelines for public administrations of the Germany Ministry of the Interior. "While the focus is on enterprise users, many others have meanwhile come to appreciate our approach!" says Bernhard Reiter from the Kolab-Konsortium. "It is attractive because Kolab offers a modern, scalable server with a choice of clients for numerious platforms including KDE Kontact and full Microsoft Outlook suport." The jury consisted of about 200 experts selected by Linux New Media, a publisher of 14 regular magazines about GNU/Linux. The Awards are given out yearly in changing categories to recognise most significant product, project or organisations. Bernhard Reiter was also nominated to be part of the jury for the award, but abstained from any voting. Kolab is a groupware and email solution that integrates proven Free Software components. In Fall 2002 the project started aiming at environments with both, GNU/Linux and Windows desktops. The design allows the integration with other products, e.g. directory and management services like dirActory, GOsa, or LAM. The Kolab-Konsortium offers commercial maintenance, support, consulting and development for Kolab. Members are Intevation, erfrakon and Klarälvdalens Datakonsult. Recently a partnership was announced to integrate Kolab into Univention's Coporate Server offering. Univention and Kolab Konsortium agreed on integrating Kolab in Univention Corporate Server (UCS) creating the new Univention Groupware Server (UGS). Also, Univention ensured Kolab-Konsortium's 3rd-level support for the Kolab business. See the GISpatcher web site for more information. GIS in IT infrastructures (GIS in heterogeneous networks, network security) Setting up geographic data infrastructures (GDI) often implies heterogeneous systems. Based on its experience in such infrastructures (file server, print server, etc) and data security Intevation offers GIS specific network services. Please contact us to schedule an appointment with one of our experts at the InterGEO 2005. Free Software / Open Source is used increasingly in the GIS domain and has a big potential. A great number of Free GIS components is established by now and usable for diverse tasks such as (Web-)mapping, spatial data creation and storage. GISpatcher offers a platform for complex GIS solutions using Free Software. The companies Intevation and lat/lon developed this product to promote professional usage of Free Software in the GIS market. GISpatcher Enterprise : the extension of GISpatcher Web and GISpatcher Desktop by security mechanisms. GISpatcher is online to be found at http://www.gispatcher.com/. At the Intergeo fair you can see GISpatcher in action in Hall 3, M 3.118. Available now: Kolab Server 2.0 and KDE Kolab Klient 2.0 stable. Details can be found in the official pressrelease of the Kolab Project. Intevation's CEO Bernhard Reiter is the current Kolab Project coordinator. Being a part of the Kolab Konsortium, Intevation also offers additional services for the Kolab solution. Kolab is a complete and flexible solution for work groups. Email, contacts and Events can be managed with two interoperable clients: Windows/Outlook and Linux/KDE. No permanent network connection needed: Your events are synced when you go online again. Kolab supports secure and distributed setups. The Kolab-Konsortium (german page) offers standardized support, Intevation is one of the members. Email security: The Ägypten project combines important standards for secure email (OpenPGP, S/MIME, Sphinx, V-PKI) for KMail/Kontact and mutt. Ägypten has brought the only Free Software that have passed official interoperability tests in Germany. Using browsers to survey data: Simply displaying static data is the past. Today interactive services can explain facts easy and understandable on a map. Service providers gain additional value from the detailed on-site knowledge of their users. PostGIS Support (german page) - PostGIS is a spatial database system based on PostgreSQL. Together with Refractions Research (the lead developers of PostGIS) Intevation offers PostGIS Professional Support and PostGIS Enterprise Support für numerous operating systems. Please contact us to schedule an appointment with one of our experts at the LinuxTag 2005. Predictions have proven true: Software for managing geo-data increasingly becomes part of our daily life. Beside the obvious car navigation especially many web-based applications are popular. This is an area where Free Software products are in the lead with being flexible and most compatible with technical standards. To make Free Software for geo-data processing widely known, the FreeGIS project was started in 1999. At that time it was only a link collection. Now the project has put the 3rd generation of its web portal online shortly after its 5th anniversary. The new side masters the increasing interest with an improved editorial system and multi-lingual support. "Now we can easily distribute the editorial tasks" explains Dr. Jan-Oliver Wagner, coordinator of the FreeGIS project. "This way our volunteers can further increase the quality of the portal." The FreeGIS project also acts as promoter of commercial use of Free GIS Software and emphasizes the professional quality of several listed products. "A successful IT business has developed around this within the past few years" says Frank Koormann, managing director of Intevation GmbH, which hosts the FreeGIS portal on its servers. "This trend will continue because many products with high potential are yet unvalued. One example is the new GRASS GIS 6.0 which has just been released." Free GIS data converter edbsilon has been published. Intevation GmbH has published a Free Software converter for the GIS data format EDBS. This data format is particularly well known in Germany, where it is used primarily for cadastral data. The current release 0.8.2 of edbsilon is available for download from Intevation's homepage, and is distributed under the terms of the GNU GPL. edbsilon can be used both for the initial migration of cadastral geodata, and for updates provided in BZSN-format. Scripts are used to translate the EDBS-files into SQL-commands appropriate to, for example, Oracle Spatial. edbsilon can easily be adapted to EDBS variants coming from different federal states or to application-specific table schemas. edbsilon is platform independent and has been tested on both GNU/Linux and Windows. edbsilon has been contracted by the administrative district Elbe-Elster in Brandenburg, Germany. "Existing tools didn't sufficiently comply to the demands of our customer" explains Dr. Jan-Oliver Wagner, management director at Intevation. "In this case it has been more cost-effective for our client to implement it anew than adapting existing Free Software." Future plans for edbsilon include the addition of new export interfaces, such as PostGIS/PostgreSQL and Shapefiles, to be ready for release in version 1.0. KDE innovates in Osnabrück -- again! Stripped of your calendar, addressbook and email, what would you do in modern business life? Exactly this are the applications the KDE PIM developers care for and this is what they did when they met for the 3rd time in early January in the city of Osnabrück in north-western Germany. KDE is the graphical user interface for GNU/Linux known to virtually every GNU/Linux user worldwide. PIM, an acronym for Personal Information Management, encompasses the applications considered essential by the majority of computer users for organising their lives. Developer meetings like this happen often with KDE and are of the reasons for its grand success. The computer programmers, ranging from spare timers to full-time professionals, discuss plans, technologies and the implementation in person. Of course a good deal of hacking happens also, usually up to the early morning hours. Intevation GmbH hosted the meeting again, at their premises in the city-centre of Osnabrück, providing space and infrastructure for the international gathering of guests. The choice of location is not random. Intevation has coordinated a number of contracted extensions to KDE -- professionally addressing the customers needs in particular, while also contributing to the progress of KDE in general. Cooperation with the KDE developers has allowed those features to be integrated into the KDE mainstream, thus ensuring that they will remain available in future versions. Examples of this include email security (Ägypten) and groupware functionality (Kolab, http://intevation.de/projects/kroupware.de.html, http://www.kolab.org/). Numerous photos and reports document the success of the three meetings. Intevation and its partners lat/lon and GDF are presenting at this year's INTERGEO. INTERGEO is the major german speaking fair in the GIS field. At our booth (B6.130) we are informing you with emphasis on the commercial use of Free GIS software as well as the opportunities of using spatial data infrastructures (SDI) as basis for specialized services and applications. Intevation assigned to develop GREAT-ER II extension. Intevation, the developer of GREAT-ER II model system and its GIS user interface is contracted by CEFIC to implement a sediment extension for the aquatic environmental exposure assessment tool. The prediction of sediment concentrations of chemicals in freshwater is a requirement of the EU Risk assessment (EU TGD). However, the current GREAT-ER software only calculates total concentration in water column. The extension of the GREAT-ER II Model System and Desktop User Interface considers suspended and settled sediments and will provide more detailed chemical concentrations. The project is a joined effort in cooperation with the University of Cranfield (UK), it will be finished in May 2005. As for GREAT-ER II, the implementation of the GREAT-ER Sediment Exposure Module will be performed following Free Software concepts and will be released as Free software under the GNU GPL. See the CEFIC LRI Project Page for more details and follow the project's progress on Intevation's GREAT-ER site. GREAT-ER stands for Geography-referenced Regional Exposure Assessment Tool for European Rivers. In a first research project (1996 - 1999) the project concept has been proven, in a second project (2002/2003) performed by Intevation GmbH and TechniData AG (Markdorf, Germany) the system was reimplemeted as Free Software. CEFIC (European Chemical Industry Council) is a forum of the European chemical industry. The CEFIC LRI's (Long-range Research Initiative) mission is to identify and fill gaps in the understanding of the hazards posed by chemicals and to improve the methods available for assessing the associated risks. With the projects Kolab and Ägypten Intevation GmbH is involved in the professional development of important KDE components. We therefore support the 2004 KDE Community World Summit in Ludwigsburg (21.-29. August 2004) as sponsor. Managing director Bernhard Reiter gives a talk about the "Social and Political Aspects of Free Software" as representative of the FSFE. Have a look on web-based GIS and play around with it: The new demo-portal of Intevation GmbH. Any intersted person has now the possibility to get an impression of the performance of Free Software products and of the team at Intevation GmbH which is involved in developing web-based applications. The demo-portal starts with 4 demos and will consequently enhanced by new applications. The current issue of the German BUSINESS GEOMATICS publishes an interview of Intevation's managing director Dr. Jan-Oliver Wagner. In the talk with chief editor Timo Thalmann Dr. Wagner addresses Free Software, chances for the GIS industry and customer needs. "In the long term Free Software will change the business models and structures of the IT sector in general." so Dr. Wagner, who continues to explain Free Software and its use for computer users. Especially flexibility is an advantage. Although individual software has been ill-reputed in the past, todays networking of service providers and users of Free Software benefits additional innovation and interoperability. Dr. Wagner points out criteria for the selection of service providers and illustrates options for proprietary software vendors to approach a Free Software strategy. The GIS market is based on long-term decisions. Not revolution but evolution is needed. Dr. Wagner concludes that "in 10 to 15 years ninety percent of all applications will be based on Free Software. Businesses need to prepare for the change to come." In the past four 4 years since the foundation of Intevation GmbH end of 1999 Free Software has evolved from a niche to a commonly accepted service model - as anticipated by us. Free Software is applicable in all areas of IT solutions and is also of interest for the region of Osnabrück with its medium-sized business structure. To promote the progress in software markets better into the region Intevation has joined the IuK Netzwerk Osnabrück (German, Information- and Communicationtechnology Network). This engagement is a first step to enforce our regional strategy. This year again Intevation is present at Europe's leading GNU/Linux and Free Software event. "Software development is a communication problem"
This holds true all the more if the different interests of all groups participating in a project have to be considered. We offer our clients a single contact which covers all aspects of the development of a solution, and coordinate the various companies and community developers and ensure a targeted progress through communication management, quality control and guidance by our own software development experts. We demonstrate our service with the projects Ägypten - Free Software Sphinx-Clients and Kroupware/Kolab - Free Software Groupware. Maintaining the FreeGIS portal site Intevation offers a comprehensive overview on usable software in the GIS field. We support the productive application of Free GIS Software with our consulting services and are implementing projects based on Free Software. At the LinuxTag we demonstrate applications based on Thuban (Desktop) and UMN MapServer (Web-Mapping). The schedule for the talks is not yet fixed. KomCom Nord: Intevation and lat/lon present Spatial Data Infrastructures with Free Software. Modern, sustainable GIS concepts are vendor independent and meet the standards. At the KomCom Nord (Hannover, Germany, 25./26. February 2004, booth F2) the team of lat/lon and Intevation demonstrates components to model Spatial Data Infrastructures (SDI) with Free Software. The core of the solutions is formed by the deegree product family, developed by lat/lon. "deegree is the central element of the set up of a Spatial Data Infrastructure complying with the standards of the Open GIS Consortium (OGC) and the ISO/TC 211", explains Dr. Markus Müller, project manager and consultant from lat/lon. "The consequent implementation of the OGC specifications enables us to bind to standardised products of other vendors." In the context of the OGC initiative to develop conformance tests for the GIS services WMS and WFS, deegree-WMS is now the official reference implementation for WMS. "Free GIS Software provides a comprehensive portfolio of components which we can use flexibly with deegree to fulfill the needs of our clients on a customized SDI", states Dr. Jan-Oliver Wagner, Managing Director of Intevation GmbH. "Particularly the compliance of Free Software with the standards provides the basis for extensible and highly scalable vendor independent applications." These components range from spatial databases over visualization and data manipulation clients to application frameworks to build special applications. At the KomCom Nord Intevation and lat/lon will present a wide range of successful customer projects realised with Free GIS Software. Founded as a Spin-Off of the University of Bonn, Germany, lat/lon is engaged in projects for managing and using distributed geospatial data. lat/lon has turned attention to the development and use of products refering to the specifications of the Open GIS Consortium (OGC). So a maximum of interoperability concerning GIS is guaranteed. The independency of products of single GIS vendors allows to develop flexible solutions fitting to our clients needs. lat/lon is associate member of the OGC and is actively taking part in the initiative to develop the SDI of Northrhine-Westphalia (GDI NRW). Intevation GmbH is specialised on Free Software and offers IT services for strategic consulting, project management & implementation as well as geographic information systems (GIS). All services of Intevation are based on Free Software, an active Communication Management, modern Development Methods and Usability Design. Our GIS services cover a wide range of individual solutions: From Web based mapping, implementation of specialized applications to the development of mobile location based services (MLS) with spatial databases. Intevation is maintaining the freegis.org project to evaluate and categorize Free GIS Software. Developers of the KDE Personal Information Management and groupware applications (KDE-PIM) met in the first weekend in January 2004 at Intevation's office in Osnabrück. The progress of the international effort is nicely summarized in Second Osnabrueck Meeting Boosts PIM Development and the reports on KDE-PIM Meetings. Intevation GmbH announces the stable release 1.0.0 of the Geographic Information Tool Thuban. Thuban is an interactive viewer for geographic data layers. It can handle Shapefiles, PostgreSQL/PostGIS spatial databases and raster data. The user interface makes data exploration easy. 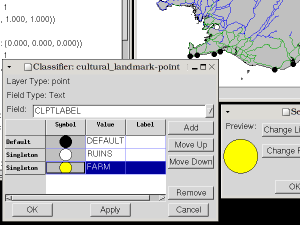 Notable features are the legend editor with some automatic classification, projection support and management of attribute tables. Thuban is Free Software licensed under the GNU General Public License. It is platform independent using the wxPython framework and builds upon powerful libraries. Intevation has helped to start the FreeGIS project about four years ago which provides the most comprehensive overview of Free Software GIS components on www.freegis.org. "One incentive to start developing Thuban was to fill a missing link in the FreeGIS world", says Jan-Oliver Wagner, Managing Director of Intevation. "It also fits in well what our clients and the market demands." Thuban has been designed as a platform for GIS applications. An example is the simulation system GREAT-ER (Geography Referenced Regional Exposure Assessment Tool for European Rivers). Thuban features an API for developing Add-Ons and other extensions. Experimental WMS client functionality and APR (Arcview project) file importer are two examples. Thuban supports language locales. The application has been translated into English, French, German, Italian, Russian (cyrillic script) and Spanish. The current user documentation is in English. SciParam is a Python package to easily add additional quality control for entering scientific parameters in wxPython-based user interfaces. Feature are feasible and physical value ranges, comments, distributions and defaults. SciParam is Free Software under the GNU General Public License (GPL). Author is Thomas Arendsen Hein. Thuban is an interactive viewer for geographic data. It is platform-independent and extensible. The new version 0.9.0 includes one major new feature compard to version 0.8: access to geodata from a PostGIS/PostgreSQL database which implements the SFSQL standard of the OpenGIS Consortiums. Thuban is Free Software under the GNU General Public License (GPL). Intevation partners with Code Fusion to bring Free Software groupware solutions to South Africa. The partnership will see Intevation and Code Fusion work in unison to promote and develop the usage of the Kolab Free Software groupware solution , which recently became available in Germany. Code Fusion will actively be promoting the solution throughout the African continent as a stable and viable enterprise class groupware solution. Specialized trade offers FreeGIS products (CD, Tutorial, GRASS-Books). Osnabrück, August 12th 2003. The FreeGIS products so far distributed by Intevation GmbH are now generally available via specialised trade. LinuxLand International now offers the CD und books around the topic of Free Software and geographic information systems on their web-shop. The distribution into the specialized market is done by LxPN Distributions GmbH. "With handing over the direct sales to LinuxLand and other partners of LxPN, Intevation can now concentrate on the further development of the FreeGIS products." explains Dr. Jan-Oliver Wagner, managing director of Intevation, about the partnership with LxPN. "At the same time Free GIS Software is made available to an even broader public." Britta Wülfing, executive board of LinuxLand adds: "FreeGIS has good reputation within expert groups for several years now. With the professional distribution of Geographic Software via the LinuxLand-Shop we show people interested in GNU/Linux that virtually any type of application is now available for this system." After the german order pages now moved to the LinuxLand-Shop, the english order pages will follow in autuumn. Goals reached for Kroupware Project managed by Intevation with Kolab Server and KDE Kolab Client stable releases. The three companies behind the Kroupware Project (Erfrakon, Intevation and Klarälvdalens Datakonsult) announced its successful completion today. This new groupware approach using only Free Software is now available in stable versions under the Kolab brand name. Commercial support on an individual basis is already offered with further support options to come. The Kolab system offers common asynchronous groupware functions such as email, group calendaring, notes and tasks. Stable releases of the software are ready for downloads. SciParam is Free Software under the GNU General Public License (GPL). Author is Thomas Köster. Furthremore, the roadmap towards version 1.0 has been published, aiming at september 20th 2003. The new version 1.1 of the german GRASS Handbuch by Markus Neteler is now also available in a printed version. Neteler, M. (2000, with updates 2003): GRASS-Handbuch. Der praktische Leitfaden zum Geographischen Informationssystem GRASS. 266 p.
With its extensively updated eleventh edition (v1.2.3) the FreeGIS-CD offers to enhance GNU/Linux distributions with a collection of geographic information processing capabilities. Osnabrück 17th of June 2003. With the publishing of the eleventh version of the FreeGIS CD (v1.2.3) the Intevation GmbH updates all GIS packages and extends the documentation. The CD presents a collection of GIS applications, libraries and data sets in current, stable versions. It contains e.g. GRASS, MapServer, gdal, PROJ, GLOBE and the simple viewer Thuban. With Frida now a detailed street map of a german city (Osnabrück) is included. Another focus of the FreeGIS CD is the provision of documentation. HTML- and PDF-versions of several documents are directly accessible from the CD. For better availability they can also be installed on the computer. The FreeGIS-Tutorial and the GAV GRASS course (both in german language) help to lower the entry barrier towards the GIS applications. The now published FreeGIS CD was tested on the major Linux-based GNU-Systems RedHat, Mandrake, SuSE and Debian. "This collection demonstrates the spectrum of Free GIS Software as well as its great power and flexibility. An increasing user community accelerates the process of development and integration of the components", explains Dr. Jan-Oliver Wagner, coordinater of the FreeGIS-Project. "The FreeGIS CD will be regulary updated and extended in the future." The FreeGIS project focusses on Free Software and data related to geographic information processing and mapping. A comprehensive overview about available software can be found on the website. Map creation and analysis of spatial data is becoming a widespread application. The project promotes exclusivly Free Software solutions which means that everybody has the freedom to use, modify and redistribute them. The Intevation GmbH specialized in Free Software and offers IT-services in the areas of strategic consulting, project management & realization and GIS solutions. For all activities, Intevation places emphasize on Free Software, active communication management, modern development technologies and usability design. The GIS unit implements a broad spectrum of individual solutions ranging from browser-based work on digital maps, development of specific applications upto Location Based Services (LBS) in conjunction with spatial databases. 24. June the first German User conference for UMN Mapserver takes place in Berlin. The aim of meeting is to get informed about current projects from other users of UMN Mapserver und to compare notes. Conference speech is german. Tuesday, 24. June, 11:15 a.m. The talk demonstrates by means of examples how the UMN Mapserver and Zope can be integrated to powerful applications. Special attention will be drawn to security issues. 25. - 27. June 2003 the European Python and Zope Conference takes place in Charleroi, Belgium. Thuban is an interactive viewer for geographic data. It is Free Software written in Python. The talk will give an overview of Thuban's current capabilities and demonstrate the extensibility with the client built on top of the Thuban framework for the simulation system GREAT-ER. Meet us at the GNU/LinuxTag (10.-13.7.2003, Booth C16). The GNU/LinuxTag in Karlsruhe is the largest European fair for Free Software and GNU/Linux. We are looking forward to inform you about how we perform project management and strategic decisions for Free Software. FreeGIS as well as the Free GIS tools Thuban, MapIt! and UMN MapServer. The freedoms of Free Software are a good basis for commercial activities. This presentation demonstrates why and explains the differences to proprietary software projects. The talk presents the UMN MapServer and Zope (both Free Software components) and demonstrates the combination of both for performant and secure web applications. The presentation illustrates on the basis of the development of Thuban and Sketch how the capabilities of Python can be used for complex GUI applications. Thuban is an interactive view for geographic data. It is plattform independent and extensible. New in this version is the opportunity to display maps more flexibel. Color, size and stroke width of objects can now be automatically defined according to values of a selected attribute. Thuban ist Free Software under the GNU General Public License (GPL). Free Software Award 2002 for gOSt. The Grid Organized Simulation Tool (gOSt) recieved the "Intevation-Award for Archivement in Free Software 2002" at the University of Osnabrück, Germany. The ten person gOSt project team was honored on the 31th of January 2003 in the historical building of the University. In his speech Dr. Jan-Oliver Wagner, Managing Director of Intevation underlined the importance of Free Software to current political issues. "We are about to decide how and if at all we are able to exercise our freedom of speech in the future." The decorated project gOSt applied Free Software as part of the scientific method. The members of the project group Andreas Focks, Frank M. Hilker, Christian Hüser, Andreas Manz, Alexander Meyer, Tobias Niemann, Matthias Peußner, Irina Prinz, Ole B. Schroeder and Ba Kien Tran developed a usable modelingtool for simulating cellular automata during their studies. GOSt will already be used in upcoming lectures at the University this year. The Kroupware-Project brought about a dozen developers of the K Desktop Environment (KDE) from Germany, Austria and Denmark to Osnabrück. The meeting took place on the first january weekend 2003 in the office space of Intevation. "It is very important to us giving the results of our activities back to the Free Software community! ", comments Bernhard Reiter, managing directory of Intevation GmbH and coordinator of the Kroupware-Project. "This workshop quite successfully did so." The results are well documented on the KDE-PIM meetings page. Intevation financially supports the FSF Europe's activities for 2003. With this donation Intevation helps the Free Software-movement in addition to its software writing and practical support of the political work. "FSF Europe does an unique job for the European IT-sector. ", explains Dr. Jan-Oliver Wagner, Managing Director of Intevation GmbH. "We are proud to be among the Sustaining Contributors of this important organisation for 2003." FreeGIS-CD 1.2.1 for GNU/Linux systems released: Meanwhile in its nineth edition (v1.2.1) the FreeGIS-CD offers again an updated and enhanced collection of geographic information procession capabilities to GNU/Linux distributions. Osnabrück 31st of July 2002. 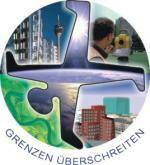 In a reduced interval of 3 months Intevation GmbH publishes the FreeGIS-CD (v1.2.1) in its nineth edition. The CD presents a collection of GIS applications, libraries and data sets in current versions. It contains e.g. GRASS, MapServer, gdal, PROJ und GLOBE. 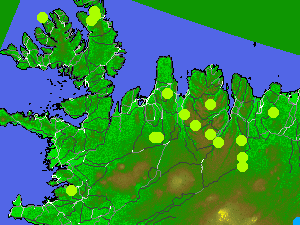 With Thuban now a simple viewer of geodata for the visualisation of shapefiles is included. The FreeGIS-Tutorial (in german language) explains how to do common GIS task with Free Software. It is included on the CD in its HTML- and PDF-Version. Printed copies are available separatly. The documentation on the CD lowers with easy comprehensible commands the entry barrier towards the GIS applications. The now published FreeGIS-CD was tested on the major Linux based GNU-Systems RedHat, Mandrake, Suse and Debian. "Free GIS Software has a high potential due to its great power and flexibility. Both the development and the integration of the different components progresses continously", explains Dr. Jan-Oliver Wagner who is responsible for the publishing of the FreeGIS CD at Intevation. "We bear in mind this high dynamic by actualising and enhancing the FreeGIS CD regulary." The FreeGIS project focusses on Free Software and data related to geographic information processing and mapping. A comprehensive overview about available software can be found on the website. Map creation and analysis of spatial data is becoming a widespread application. The project exclusivly promotes Free Software solutions which means that everybody has the freedom to use, modify and redistribute them. The Intevation GmbH is a high level Free Software consulting company based in Osnabrück, Germany. Intevation offers communication management for Free Software projects and strategic consulting for Free Software business models. Additional business units are geographic information systems and usability design. Intevation GmbH actively contributes to the Free Software Community and supports freegis.org and the FSF Europe among other projects. From July 3rd - 5th 2002 you can meet us in Salzburg (Austria) at the AGIT (german) 2002. Additional to a introduction into Free Software and the FreeGIS project, the workshop includes a practical part where selected software packages (UMN MapServer, JaGo and GRASS) are presented based on sample applications. The AGIT-Team of Intevation, consisting of of Silke Reimer, Heiko Kehlenbrink and Jan-Oliver Wagner, has plenty of time to discuss matters of professionally using Free Software beyond the actual workshop. From June 6th - 9th 2002 you can meet us at the GNU/LinuxTag in Karlsruhe, Germany. The GNU/LinuxTag is the largest European fair for Free Software and GNU/Linux. You will find Intevation at booth X198/Y40. (In cooperation with the BSI): The Ägypten Project for secure E-Mail following the german SMIME-Sphinx standard. Geolocation-Middleware for Location-based services (LBS). FreeGIS-CD 1.2.0 for GNU/Linux-Systems available: In its eighth edition (v1.2.0) the FreeGIS-CD continues to bring geographic information procession capabilities to GNU/Linux distributions. Osnabrück, Germany, 2nd of May 2002. The Intevation GmbH successfully puts Free Software for spatial data processing on the map with its eighth edition of the FreeGIS-CD, officially available from today. Testing has been done with major GNU/Linux distributions such as RedHat, Mandrake, SuSE and Debian to make sure that the prebuild binaries can be installed using the packaging system. The CD contains an up to date selection of GIS applications, libraries and data sets, e.g. GRASS, GMT, MapServer, PROJ and GLOBE. For the first time a digital FreeGIS tutorial in German is included on the CD. Printed copies are available separatly. The textbook explains how to do common GIS task with Free Software. Naturally it has been placed under the GNU Free Documentation License. "It may not always be highly visible, but the Free Software community in the area of GIS is making steady progress to bring full power combined with freedom to its users. ", explains Jan-Oliver Wagner, who is in charge for the production of the CD at Intevation, "Thus we included many updated applications to bring you this solid release." Intevation started the development of an interactive viewer for geographic data named Thuban. Main features are its cross-plattform GUI, extensibility and flexibility for deriving individual GIS applications. Thuban is Free Software licensed under GNU GPL. Intevation plans to deploy Thuban in several client projects. Thuban is implemented with wxPython which allows its GUI to blend in with desktop on different platforms. An early prototype can be downloaded already. During his stay at CeBIT 2002, the German Interior Minister, Otto Schily, visited also the Ägypten project that develops a Free Software solution for secure Email exchange. Bernhard Reiter, Managing director of Intevation, presented the extended KDE program KMail. He gave a live-demonstration on the exchange of secure Emails with a proprietary Windows-Version as well as on the detection of a manipulated Emails. The project was contracted by the German Federal Agency for IT-Security (BSI) which belongs to the Interior Ministry. A first alpha-version of the Free Software Emailapplication KMail from the Project Ägypten will be presented at the CeBIT (13.-20.März 2002) in Hannover. The project can be found at the booth of the the German 'Bundesamt für Sicherheit in der Informationstechnik (BSI) located at Pavillon D booth 10-12 in front of hall 11. Developers of the involved companies g10 Code, KDAB and Intevation will be around at selected dates. A stable release of the leading Free Software Vector Drawing application Sketch was made this weekend. Sketch can be used for a wide range of drawing needs and primarily runs on GNU/Linux under X11. The author Bernhard Herzog works at Intevation as chief pythoneer. This latest release of Sketch fixes a minor security hole and adds the often requested multi-line text handling and more. Details can be found in the release notes. Everybody running a stable Sketch version should upgrade to 0.6.13. Intevation additionally offers the possibility for users to pay for sketch to accelerate its development. The "Intevation-Award for Free Software" was given out the first time at the award ceremony held in the historical building of Osnabrück's university. Elmar Ludwig and Andreas Beyer were publically acknowledged for their achievement at the university for Free Software and received a total of 750 Euro. This friday the Intevation-Award for outstanding efforts in Free Software development or other research about the topic in the university setting was given out for the first time. The ceremony took place in the historical building of the University of Osnabrück. The award went to Elmar Ludwig and Andreas Beyer for their work on GToolKit and StatistX. "We hope to set a good example with this. ", explains Jan-Oliver Wagner, Managing Director of Intevation GmbH, the company which contributed the award. "There are countless activities within universities in Germany regarding Free Software. The work done and the often exceptional engagement has to be honored appropriately." Elmar Ludwig is autor of serveral Free Software applications, which he has maintained for years. GToolKit is an Objective-C binding for the well-known Gimp Tool Kit (GTK+). Andreas Beyer developed "StatistX" while working on his doctoral degree in Environmental Systems Research. StatistX is a graphical user interface to a command line statistics programm and uses GToolKit. Intevation GmbH, located in Osnabrück, Germany is a high level Free Software consulting company. It empowers its clients to utilise the advantages of free software culture and usable IT-solutions offering management and strategic consulting throughout Europe. Additional business units are Geographic Information Systems and usability design. The FreeGIS-Project will be presented at the internatioal Free Software Developers Meeting (FoSDEM) during the 16-17.2.2002 in Brussels. Bernhard Reiter managing director of Intevation, is scheduled to give a talk at saturday about 15:00. In December 2001 Intevation joined the LIVE Linux-Verband e.V. Together with LIVE Intevation aimes to intensify support for the deployment of GNU/Linux and commercial Free Software in general. The One-Earth-Altar is the centre of the One-World-Church in Schneverdingen near Hamburg. It provides space for 7000 Earthbooks which contain soil from all parts of the world. Each book has a description of origin, donor, properties of soil and position in the altar. There are currently three methods for a book search. The concept of the One-Earth-Altar was developed by the artist Marianne Greve. The book search via map based on MapIt! (www.mapit.de/index.en.html) has been added. For map material the GMT vector data (http://gmt.soest.hawaii.edu) were transformed to raster maps of different resolution. Currently 200 Earthbooks are georeferenced. The Intevation GmbH speaks about Free Software and supports the campaign of the FSFE. "It is our responsibility to explain the concept to our clients most clearly", adds Managing Director Dr. Jan-Oliver Wagner, "Free Software is the term best suited for this." Intevation presents potentials of the FreeGIS project at GIS conference in February 2002. FreeGIS at GISnet 4.-6.Feb.2002 in Offenbach. At the conference GISnet 2002 (04.-06.Feb.2002, "From technological visions to business application" (04.-06. Febr 2002 Offenbach, Germany) Frank Koormann, Managing Director of Intevation GmbH, holds the talk (given in German) about "The FreeGIS project: toolbox for independent GIS solutions". The presentation deals especially with the relevance of Free Software for developing of independent GIS solutions. Examples are given for the area of Web Mapping. The conference language is German only. This software is a traffic reporting tool for iptables. iam can generate daily reports in plain text and HTML format. Also the summaries of these daily reports can be generated for a complete month or year. iam is free software under the General Public License (GPL). Author is Thomas Koester. MapIt is a web-application that lets you navigate in raster-maps, zoom in and out, select objects and object classes and identify them on the map. The changes improve configuration and optimize the size of the html-pages. MapIt! is free software under the Lesser General Public License (LGPL). Author is Bernhard Herzog. From Oct. 15th till 19th, Intevation presents its expertise in Strategic IT Consulting and Geographic Information Systems at the Systems 2001 in Munich, Germany. You will find us at the Linuxpark in Hall 4, Booth A4.101-B5. There you can meet the managing directors of Intevation, Bernhard Reiter, Frank Koormann and Jan-Oliver Wagner. We will take the time for comprehensive information and discussion and would gladly make appointments for this. Bernhard Reiter as the German cancellor of the FSF Europe will give a talk about Free Software and Corporate Culture on Tuesday, 16th at 10:10 at the Linuxpark Forum. The BSI contracted Intevation, Klarälvdalens Datakonsult and g10 Code to develop Sphinx clients as Free Software under the GNU GPL. The project aims to be finished by CeBIT 2002. October 1, the project for developing Free Software components for email encryption following the Sphinx standard of the German "Bundesamt für Sicherheit in der Informationstechnik" (BSI). was started. The bid was accepted for the well-known Free Software companies g10 Code GmbH (Werner Koch), Klarälvdalens Datakonsult AB (Kalle Dalheimer) and Intevation GmbH (Bernhard Reiter). The project prepares the base for Sphinx-enabling free mail user agents. The popular programs KMail and mutt are already part of it. Additionally, OpenPGP support and the address book of KMail will be improved. All results of the open development are released under the GNU GPL. The specification project Sphinx was initiated by the BSI for secure email exchange (signatures, encryption) based on S/MIME and X.509 for use by German authorities. "The project realizes a future important element for GNU/Linux as an alternative desktop for authorities and companies", explains Jan-Oliver Wagner, Managing Director of Intevation who coordinates the project. All developments of this project (entitled "Ägypten") are planned to be finished for the CeBIT 2002. Intevation GmbH, located in Osnabrück, Germany is a high level free software consulting company. Beyond the technological implications it empowers its clients to utilise the advantages of free software culture and usable IT-solutions. Intevation is main sponsor of the FreeGIS project and supports the FSF Europe. g10 Code GmbH is a software consulting company dedicated to the development of security solutions using Free Software. g10 Code takes responsibility for further development of GnuPG and consults for the GNU project on cryptographic questions. Klarälvdalens Datakonsult AB is a small international software company with headquarters in Hagfors, Sweden. Its employees work in Sweden, Germany, and Denmark. The company specializes in platform-independent software solutions and names DaimlerChrysler, IBM, and Intel among its customers. In 2001, Klarälvdalens Datakonsult AB has launched a series of applications and librariesmainly targeted at developers. Courses and mentoring are also part of the company's offerings. Bernhard Reiter, Managing Director of Intevation, gave a talk about "Free Software as standard and basis for a secure Information Technology" at the OECD Conference Information Security in a Networked World (12-13.September 2001) in Tokio. He was invited by the Germany Ministry of Economics to represent the German Free Software Community and did in his position as Chancellor for Germany of the FSF Europe e.V.. In August 2001 the FreeGIS web portal presents itself as a modern and comprehensive information platform. It was started 1999 to promote Free Software in the field of geographic information systems. Intevation GmbH, the leading Free Software Company in the area of geographic information systems announces that work on the second generation of the leading web portal for geographic information systems and Free Software has been concluded. At freegis.org visitors can now search over 125 entries with keywords or browse them by categories. Information on the evolution of the projects is tracked and can be inspected. FreeGIS brings users and developers news and and competent facts about free GIS software. It is easy to search for adequate software applications or components for processing geo-data on all platforms. A selection of the software is available on the FreeGIS-CD which recently was released in Version 1.1.0 and can be order for 25 Euro. "The success of the FreeGIS project is due to the tremendously active community of developers and users of free GIS." underlines Jan-Oliver Wagner, coordinator of the FreeGIS project. "As a comunication platform we support and bundle development energies. This is a good reason for us to continue with freegis.org and permanently improve it." Pragmatic: "Software to analyse and visualise spatial data to make maps." Scientific: A Geographic Information System (GIS) is a computer system capable of assembling, storing, manipulating, and displaying geographically referenced information, i.e. data identified according to their locations. Intevation at Systems 2001 in Munic, Germany (15th-19th October, 2001). At the Systems exhibition in Munic, Intevation will be present again in 2001. We will try to top our succesful presentations in 2000. FreeGIS-CD 1.1.0 for GNU/Linux-Systems released: The FreeGIS-CD's sixth edition (v1.1.0) adds geographic information processing capabilities to major GNU/Linux distributions. Intevation GmbH, the leading Free Software Company in the area of geographic information systems published the sixth edition of its compiliation of Free Software and data for spatial data processing. For a long time geographic information systems (GIS) were regarded high-level and cost intensive solutions, demanding high-priced hardware and skilled operators. The now published FreeGIS-Cd was tested on major Linux based GNU-Systems, like RedHat, Mandrake, Suse and Debian and significantly lowers the entry barrier towards the world of GIS. "This collection demonstrates the high potential of Free Software for spatial data processing", explains Jan-Oliver Wagner the coordinator of the FreeGIS-Project. "This is only the beginning as the development is under full steam. We will continue to bring our clients the best solution with Free Software." The Free GIS project focusses on free GIS and mapping software. It runs the leading web portal for the subject. Map creation and analysis of spatial data is becoming a common application. The project exclusivly promotes Free Software solutions which means that unlimited use, modification and copying is allowed. Intevation GmbH, located in Osnabrück, Germany is a high level free software consulting company. Beyond the technological implications it empowers its clients to utilise the advantages of free software culture and usable IT-solutions. Intevation is main sponsor of the FreeGIS project. Meet us at the GNU/LinuxTag at Stuttgart, Germany 5th-8th July, 2001. You can personally meet Intevation at booth is 5.0.201. We inform about the FreeGIS project, sketch, MapIt! and further projects. Talk with us about how free software influences corporate culture. FreeGIS CD for GNU/Linux debuts: For Linux enthusiasts and people interested in Geographic Information Systems another grey spot on the application map has been colored. The FreeGIS-CD editorial board presents the first version of its free software gis and mapping tools compilation. The CD can be ordered by Intevation GmbH, Germany and includes major applications, development-libraries and data. Developed by numerous goverment agencies, universities and private companies since 1982, GRASS is certainly the heavyweight of the collection. The first version is not aimed at absolute beginners. A certain familiarity with Linux and GIS is prerequisitve. It is the aim of the FreeGIS project to improve the application quality gradually. The CD-sales also aid funding to the project. About the FreeGIS Project: The Free GIS project focusses on free GIS and mapping software. Born out of the hassles, dealing with proprietary tools, the founders of this project started the first site dedicated to free(speech) GIS software and data. Intevation GmbH, located in Osnabrück, Germany is a free software consulting company. Beyond the technological implications it's aim is to empower partners with the advantages of free software culture and usable computer solutions.